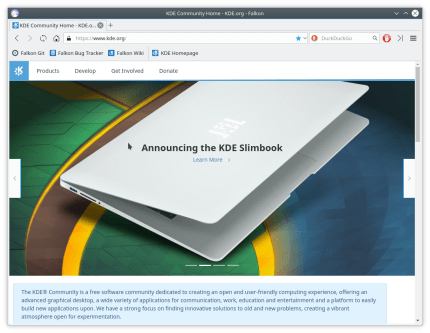 Falkon is a KDE web browser using QtWebEngine rendering engine, previously known as QupZilla. It aims to be a lightweight web browser available through all major platforms. This project has been originally started only for educational purposes. 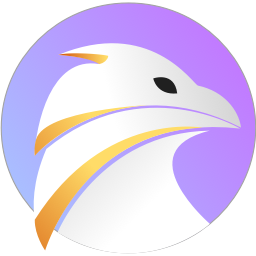 But from its start, Falkon has grown into a feature-rich browser. Falkon has all standard functions you expect from a web browser. It includes bookmarks, history (both also in sidebar) and tabs. Above that, it has by default enabled blocking ads with a built-in AdBlock plugin.